what a soothing color! May I ask the name/manufacturer? Thank you! Clad in a cooling shade of aloe green, the guest bath feels bright and airy. 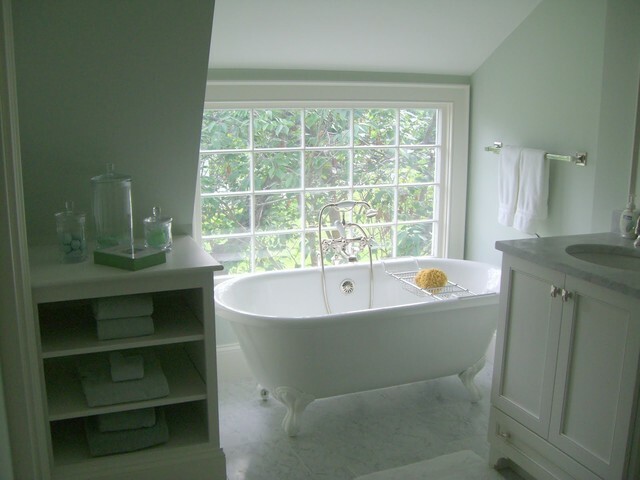 A tree gives shade and some privacy to the window-side tub. the image that started it all. Possible loft bathroom?